After an excellent group of picks at The Open Championship, I’m back with a vengeance and will hopefully pick some big winners this week. I picked Spieth, Johnson, Garcia, Kisner, and Rickie Fowler. The bizarre play suspensions early in the tournament made the leaderboard volatile. The good news was that all of these players played well and four of them made the cut. Kisner shot one under the first day but missed the cut by a single stroke due to playing extended holes in the gale force winds on Friday. This week the PGA Tour is heading to Firestone CC (South Course) for the World Golf Championships-Bridgestone Invitational. Last year, Rory McIlroy won and unfortunately he won’t be there to defend his title this year. This week, I’m going heavy on the favorites and will feature a few surprise picks. Let’s start of with Jordan Spieth who came up short (literally on his approach shot to the 18th hole at St. Andrews) in his quest for the Grand Slam. There is, however, no shame in another excellent finish in a major. Spieth will be the favorite this week and I can’t pick against the PGA Tour’s top player in 2015. I also like Bubba Watson, Jason Day, Sergio Garcia, and Danny Willett this week. Watson has played well lately and his length off the tee will be vital on a course that is typically tough on shorter hitters. Watson played well two weeks ago at the RBC Canadian Championship. Day actually won the RBC Canadian Championship and was enthused to say the least. Day has won only four times in 165 PGA Tour events and he is probably more hyped than anyone else I’m picking this week. I do think, however, that he should win more in the next few years and will (at some point) win a major. Garcia finished second last year and the course definitely suits his game. Garcia plays a low-trajectory and the soft course conditions mean that he can fire at the flag with little to worry about. He has never been able to meet expectations and he’s not the most popular guy on tour, but he’s had a nice year so far. Danny Willett is from England and actually played collegiately for two years at Jacksonville State University in Alabama. He won the Omega European Masters recently and was in contention at the Open. I like the way he’s playing and if you are looking for a guy that the rest of the guys in the office pool won’t be picking, he’s your guy. Tiger Woods has won this event eight times and he typically plays the course well. However, due to a ridiculously bad year and not really playing golf since 2013, he’s not even in the field. I’ll take Jason Day this week for a few reasons. First, he won recently and he needed the confidence boost. It is difficult to hear about how good you are when you are not winning many tournaments. Second, his aggressive, “give it all I’ve got on every swing” playing style might be perfectly suited to a course that favors the long hitter. Third, moving away from taking Spieth will benefit most everyone when it comes to betting this week. Spieth is an excellent player who has had an unbelievable year. I did, however, finally see a crack in his armour (Under Armour jokes, am I right?) at St. Andrews. Spieth made a clutch putt on the 16th and followed it up by hitting his second shot on 17th horribly. He had roughly 215 yards to the green and hit his ball maybe 155 yards. He then bogeyed the hole. Spieth would later hit his wedge on the 18th short and end his run at the Claret Jug. It means he might not be the safest bet this week and he’s likely using this week to prep for the final major of the year. He still has a chance to win three majors in one season which you be truly incredible. 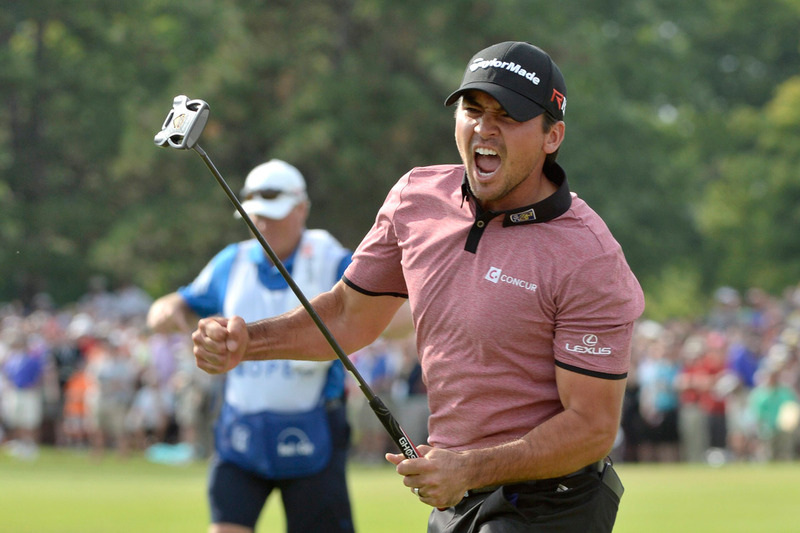 Final Prediction: Jason Day wins at -16 under par.